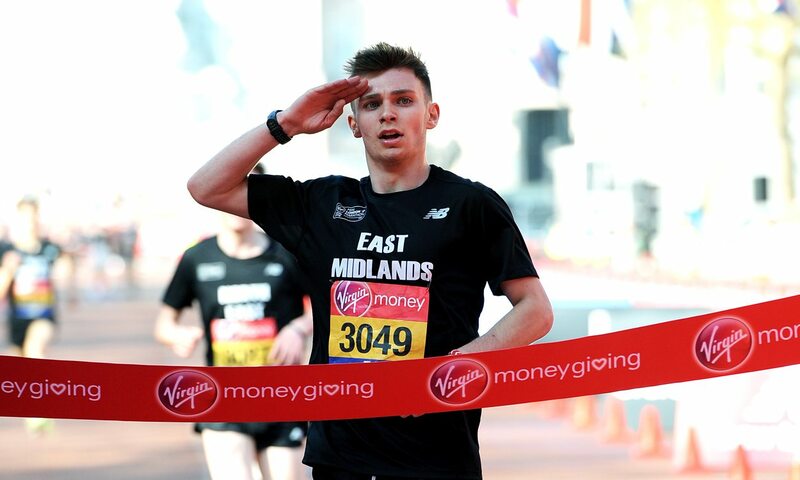 Luke Duffy and Cera Gemmell were among the runners to enjoy glory on The Mall on Sunday as many future stars of the sport raced for titles in the Virgin Money Giving Mini London Marathon. 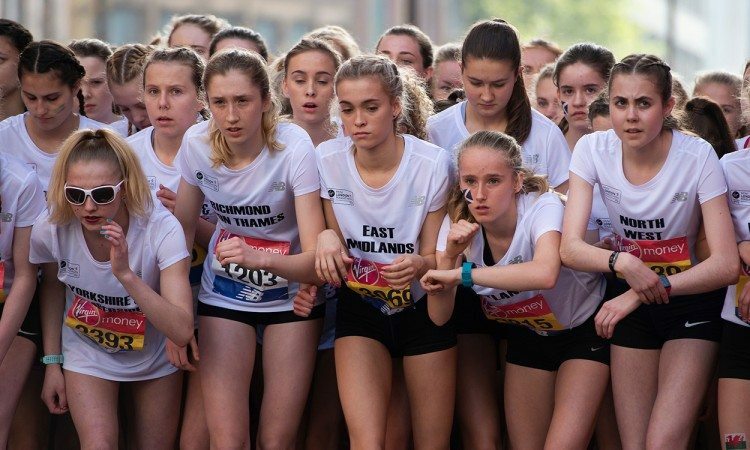 Following in the footsteps of athletes such as Mo Farah, who claimed his first Mini Marathon victory 20 years ago, the young athletes competed over the final three miles of the full marathon course, starting at Old Billingsgate. Incorporating the British Athletics Road Running Championships for the 10th time, the event saw titles awarded to athletes in under-13, under-15 and under-17 categories, as well as to winners in under-14 and under-17 races for wheelchair and ambulant para-athletes. Athletes were representing either their London boroughs or British regions. After working his way through the age groups, Commonwealth Youth Games bronze medallist Duffy was delighted to claim victory in his final year as he won the under-17 title in 14:24, two seconds ahead of North East’s Rory Leonard. “I’ve always wanted to win this competition,” said Duffy, running for East Midlands. “It’s a massive bucket list race for me. I’ve been doing it since I was 13. To win now in my last year is unbelievable. Joining him in experiencing that winning feeling was Scotland’s Gemmell as the Antrim Cross Challenge champion claimed a clear victory in the under-17 event, running 16:38 ahead of her team-mate Eloise Walker. That was the same time as was recorded by South West’s Bea Wood to win the under-15 race, as she adds her win to her victory in March at the English Schools Cross Country Championships. Scotland’s Lily-Jane Evans-Haggerty was second in 17:05. Ethan Hussey of Yorkshire and Humberside won the under-15 boys race in 14:54, while under-13 titles were claimed by North West’s Holly Weedall in 17:15 and North East’s Christopher Perkins in 16:06. Three-time Paralympic and five-time world medallist Kare Adenegan claimed a course record-breaking victory in the under-17 wheelchair race as she clocked 12:37, while Merle Menje won the under-14 title in 13:30. The under-17 boys title was won by Zien Zhou in 13:05 and the under-14 title by Andrew Greer in 14:01. Sufyaan Mahmoud clocked 27:04 and Jake Bailey 27:19 to win the under-17 and under-14 ambulant titles respectively. Scotland’s world marathon fourth-placer Callum Hawkins, who recently suffered a collapse in the Commonwealth Games marathon when leading with just 2km to go, had been the official Mini Marathon starter and also presented the winners with their medals and prizes.